Sun-drenched Yamamoto-chō, located in Miyagi Prefecture, is the largest producer of strawberries in the Tōhoku region. 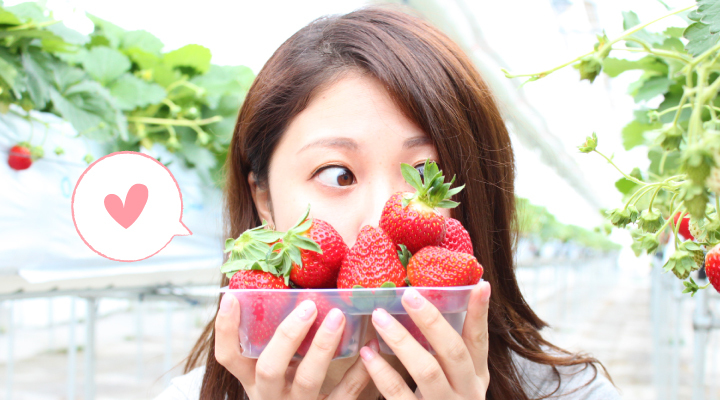 Above all, "MIGAKI-ICHIGO" or MIGAKI-ICHIGO strawberries are highly evaluated among leading department stores in Tokyo. 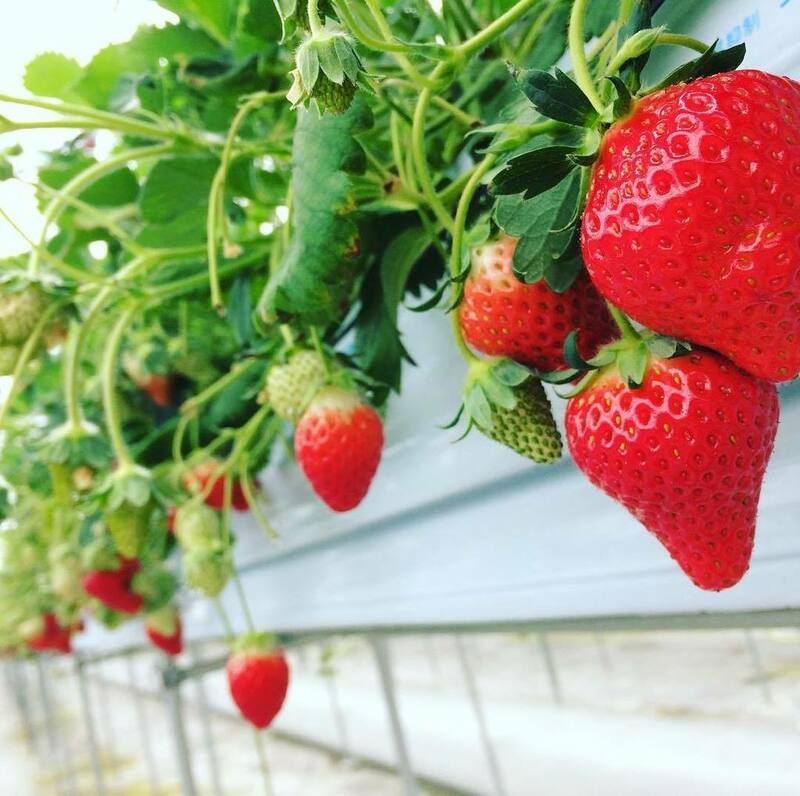 Our MIGAKI-ICHIGO greenhouse is now ready for strawberry picking! Spacious and clean strawberry farm. Our strawberries are fully ripened, juicy and vibrantly red. You can enjoy various options such as "Dip your berries in sweet condensed milk" and "Chocolate Fountain". Visit our clean and spacious strawberry farm! 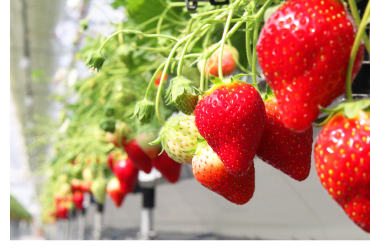 The "elevated cultivation" of strawberries allows you to pick strawberries in the standing position without stooping as strawberry seedlings are planted about one meter above ground. Wheelchair-accessible picking zone is also available. Experience our exciting "berry" sweet ICHIGO WORLD. *Our farm might be closed due to bad weather etc. Please check Information before your visit. Please keep the following guidelines in mind as you enjoy your time at ICHIGO WORLD. Visitors with reservations are to be given priority depending on the season. To complete your booking, please select your preferred date and purchase your advance ticket here. Women-only restroom is available (bidet-equipped flush toilets are also available). Parking lots available also for tour buses. Wheelchair-accessible picking zone is also available. We might close our farm earlier when all strawberries have been picked. Saturdays and Sundays are crowded. Please organize your visit accordingly. The temperature on the farm is usually high. Please wear suitable clothes that you can put on and off easily and comfortable shoes. To complete your booking, please select your preferred date and purchase your advance ticket. Booking page will appear in a separate window. Purchase your advance ticket here. Add us as a LINE friend and get the latest info! 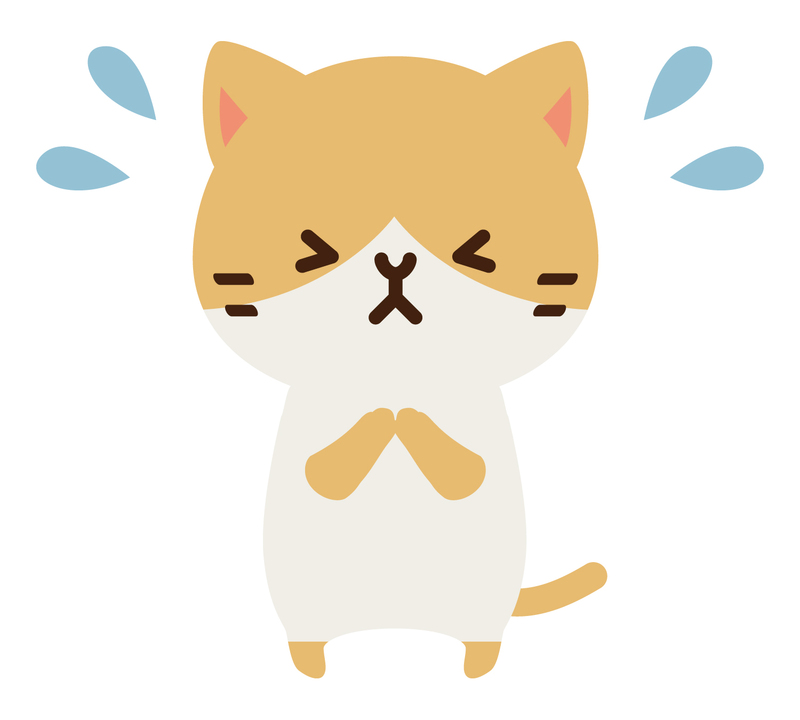 Add "ICHIGO WORLD" as a LINE friend and we update you on "ICHIGO WORLD". 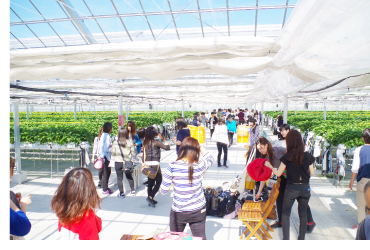 Our greenhouse is an open and warm space filled with sunny spring atmosphere. Our latest facilities make your strawberry picking very relaxing and comfortable. Wheelchair-accessible picking zone is also available. Our strawberries are produced through strict quality control by making the most of fused artisans' expertise and IT. Enjoy the taste of our fully ripened juicy strawberries freshly picked from the farm! Visit our farm with your friends and family or you can have much fun alone, too! Put on your favorite costume for extra fun! 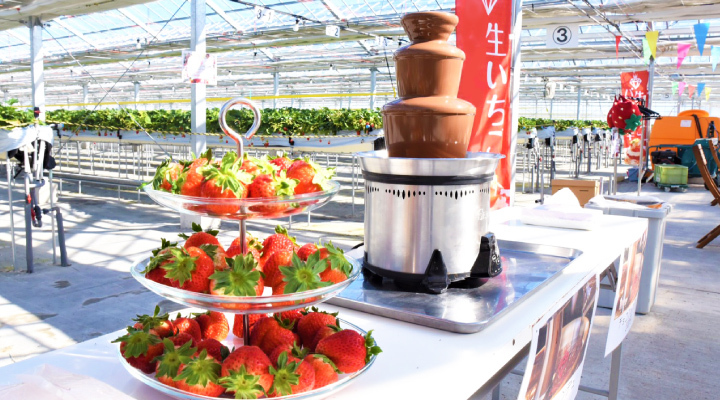 Our options such as "Dip your berries in sweet condensed milk" (free) and "Chocolate Fountain" (200 yen additional charge) do make your visit extra fun! Selfie sticks are also available. Seize your memorable moments! Enjoy also souvenir shopping at our shop after strawberry picking. We offer a variety of products at our shop! We sell fresh from the farm MIGAKI-ICHIGO strawberries as well as a wide range of MIGAKI-ICHIGO products that are available only at our shop! Enjoy a 360-degree panoramic view of our farm! 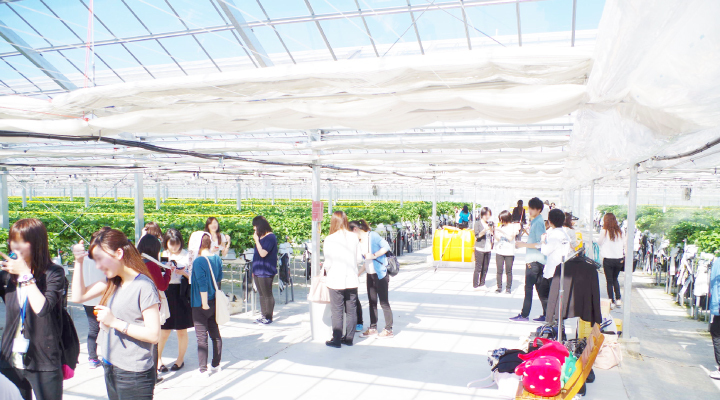 You can enjoy a 360-degree panoramic view of the strawberry farm (displayed in a separate window). From "Yamamoto Interchange (Exit)" on the Jōban Expressway, take National Route 6 which goes to Sōma, then turn left at the traffic lights in front of Yamashita Elementary School. Follow the road until "Trust Corporation". Enter the address "12 Aza-Machishimo, Yamadera, Yamamoto-chō, Watari-gun, Miyagi" into your car navigation system. You will find us on your right at the destination. 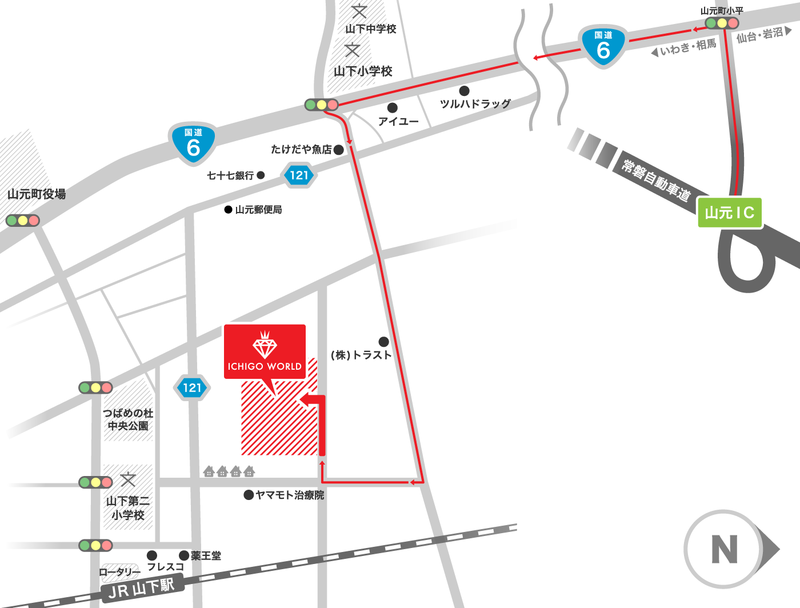 Take the JR Jōban line bound for Sōma and get off at "Yamashita Station". About 9-minute walk from the station. 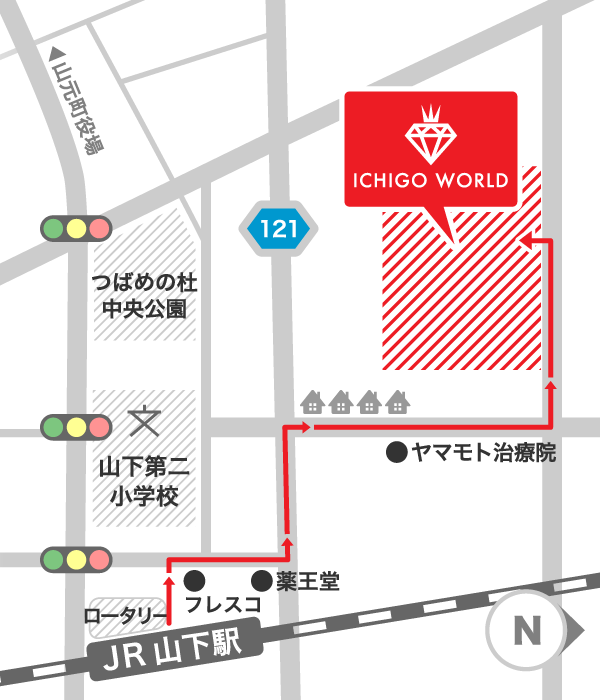 It takes 9 minutes by foot to ICHIGO WORLD. Please check FAQ before contacting us. 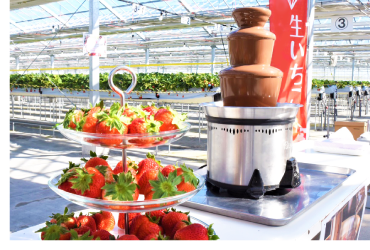 ICHIGO WORLD offers various strawberry picking tours for groups/corporate groups. You can customize your tour to meet your needs. To date, 46 groups or 1,800 guests have visited our farm (as of November 2016). Group & CorporateStrawberry Picking Tours are available. 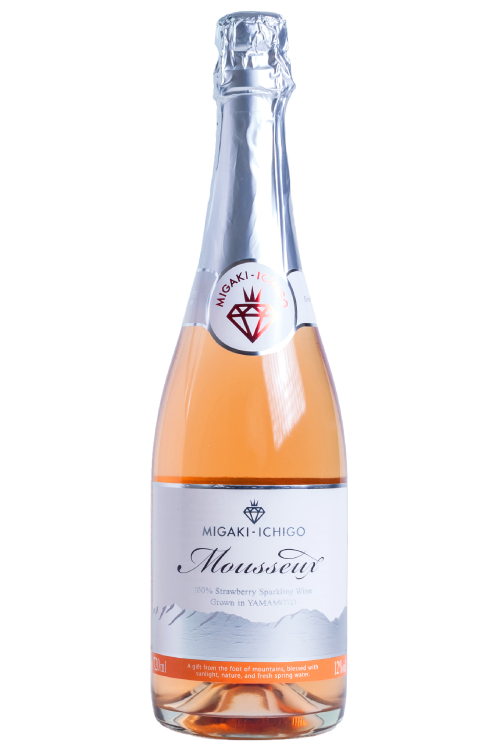 Wines and cosmetic products made from MIGAKI-ICHIGO enjoy high popularity! They will make a perfect gift! Post your pictures and Tweets with the hashtag # ICHIGO WORLD on Instagram Twitter! ©GRA Inc. 2012-2018 All Rights Reserved.